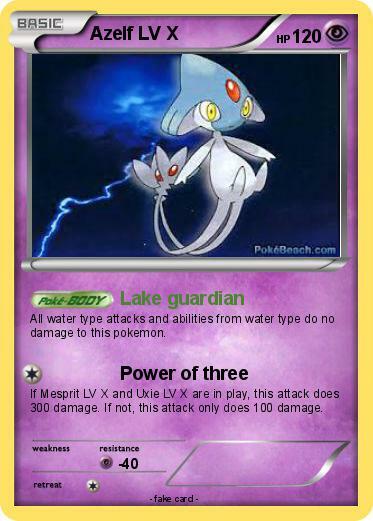 All water type attacks and abilities from water type do no damage to this pokemon. If Mesprit LV X and Uxie LV X are in play, this attack does 300 damage. If not, this attack only does 100 damage.